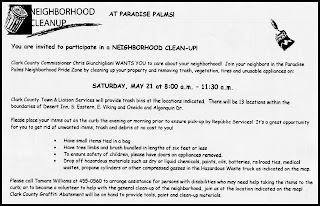 The Paradise Palms Neighborhood Pride Zone clean up is scheduled for Saturday, May 21st at 8:00 a.m. - 11:30 a.m.
We will meet at the corner of Spencer and Cherokee at 8:00 a.m.
Everyone on the south side of Paradise Palms should have received a packet on their door a few days ago with information regarding the neighborhood pride zone clean up. 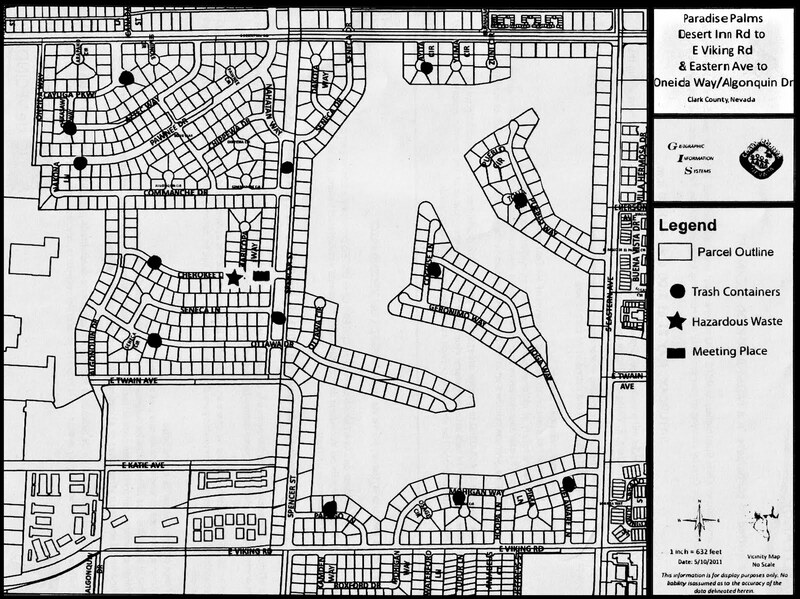 The application for the north side of Paradise Palms was turned in last week and there should be more information on that soon. 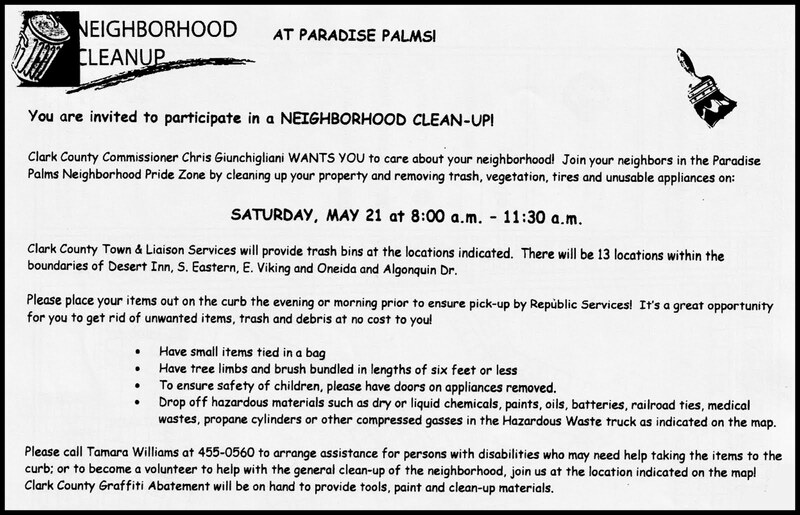 I hope everyone can make it out to this event to show the pride we have in our amazing neighborhood. We just completed a grant application. 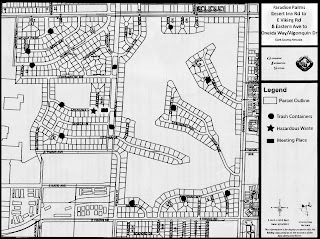 Everyone that helps with the clean-up on May 21st will meet at the park near Orr middle school after the clean-up for a box lunch. Vegetarians need not worry, we got you covered too. (The box lunch comes with a turkey and cheese sandwich on ciabatta bread with lettuce and tomato, chips, apple, and a drink, orange juice or bottled water).